It seems as if it were only yesterday that a coalition of the willing formed the Forestry Industry Action Group to submit against the Building Industry Association leaky homes proposal to treat virtually all construction timber. The challenge of representing Douglas fir as a specialist structural framing timber with qualities differentiating it as ‘more than orange radiata’ had begun. Until that time, the Douglas fir industry had not considered separate representation beyond research as necessary. The leaky homes crisis drew attention to the loneliness to which a minor species can be subjected within a wider industry body where the consequences of change were less for the majority. The need to represent Douglas fir as a specialist structural framing timber is no less important today than it was then. 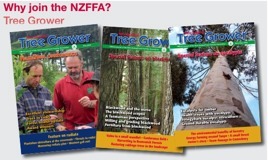 The Douglas fir supporters, once described as the South Island mafia, have been active since 2003 and the strengthening working relationships between members paved the way for the incorporation of the Douglas-fir Association in September 2005. Other wood industry participants comment on our Association’s strength being the working relationships between producers and processors based on clear boundaries between commercial activities and programmes for general promotions, education, and research and presenting a coherent and credible voice for Douglas fir. Provide a credible and inclusive voice to promote the collective interests of Douglas fir growers, processors and manufacturers ata national and regional level. The current Chair is Scott Gibbons, general manager of Waimea Sawmillers in Nelson. Other company members include Blakely Pacific, City Forests, Ernslaw One, Blue Mountain Lumber, Findlater Sawmilling, Naseby Lumber, Gibson Timber, Taylor Timbers, Sutherland & Co, Selwyn Plantation Board and Weyerhaeuser NZ. 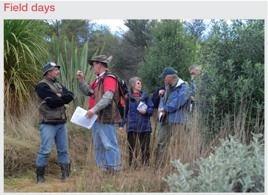 The association is managed on a day to day basis by Andrew Karalus at Weyerhaeuser NZ. The workload is distributed amongst members in such a way that the Association is now well bedded down and settling in for the long run. The progress made has raised the profile of Douglas fir and of industry representation in general. In 2005 our initial programme was one of survival. We concentrated on raising the awareness of the the alternative solution for untreated Douglas fir in external walls within the South Island and research into timber performance in moisture managed external walls. The promotions programme was developed with the assistance of market research which clearly identified large building companies and chemical free as the key targets. While the audiences were supportive of Douglas fir and the untreated chemical free message it was obvious that there was a legacy of caution throughout the building supply chain as a result of leaky homes that continued to create barriers to the use of untreated Douglas fir. It became apparent that in order to stimulate the uptake of Douglas fir, the wider benefits of the species, namely stiffness, strength and stability, would need to be promoted more aggressively alongside the treated and untreated options. Such a programme would need to reach the builders, architects and consumers in the supply chain and call them to action. Media advertising, although targeted and within a small budget, was seen as critical to this as was a website in step with the programme. The costs of a programme that would reach out to the influential people in the supply chain were beyond members without significant funding support. The Forest Industry Development Agenda (FIDA) programme offered by MAF provided the much needed and appreciated support. The Douglas-fir Association market development programme was approved for FIDA support in May 2006. The programme includes direct mail, print and outdoor media advertising, website development as well as new substance in building systems and solutions research. The primary target is the South Island domestic market but the programme also provides opportunity for export markets. The cornerstone proposition of the programme is that wood is the environmental champion among building products and that Douglas fir offers benefits underpinning superior performance in structural applications. Wood’s environmental message is already reasonably well understood in the building industry, but it is a message that has seldom been promoted until the Douglas fir promotions began. While Douglas fir provides natural advantages that should be identified and promoted, the Association members are very much aware that no one will prosper when species within the wood family act in self interest alone. All members have investments in both radiata pine and Douglas fir. The promotions programme and the larger generic wood promotions programme NZWood are aware of each other’s plans as Andrew Karalus is a member of the NZWood management team. The two programmes are aligned and will add strength to each others messages. Building solutions with Powell Fenwick Consultants in Christchurch. The BRANZ research is already providing some useful support to the Douglas fir alternative solution by confirming the principles of moisture management in building design. Two significant outcomes are anticipated for publication later this year. Durable materials for parts of construction that have a high risk of staying wet. The second outcome of importance is the relative performance of Douglas fir in this research. The research results already confirm that Douglas fir offers superior performance by being able to prolong the effects of any leaks on structural capability even in areas where water does penetrate. This confirms the proposition that Douglas fir should be separately and differentially regulated and in particular not inclusively with radiata pine. Can you treat Douglas fir? The website provides a full explanation on product options together with technical support and contacts for supply. Questions are often raised about treatment of Douglas fir. Douglas fir is available in green or kiln dried and in untreated or boron treated to H1.2 standard. The boron treatment meets all the requirements of NZ Standards 3640:2003. You can contact sawmill and forest owning members or you can send an inquiry to the manager of the Douglas-fir Association via the website page for more information. The Douglas-fir Association is action orientated. Members were disappointed with the regulatory knee jerk reaction from the leaky homes crisis, but the Association is determined not to be a one issue body. There is an underdog’s spirit that has been pricked into action and a broad plan of action has already shown that rewards for wood and Douglas fir are worth fighting for.